Child and Human Rights: The CYC advocates, teaches, and practices child and human rights, under the International Child and Human Rights Convention. Children and youth are taught what their human rights are, and how best to fight for them. In the process our young people learn the importance of respecting the rights of others. The CYC emphasises gender issues, equality, and the non-discriminative right to literacy. The Child-to-Child Teaching Methodology: The CYC is committed to a child-to-child method of education. We aim to strengthen the bonds between the age groups through mutual learning; children and youth learn both together, and from one another. The child-to-child teaching methodology is practiced on a daily basis, at our centre, and requires children and youth to share and delegate responsibility. Both adult staff members, and the CYC’s young people regularly attend external workshops on the child-to-child teaching methodology, to reinforce and update the application of this successful method. Identity and Belonging: The CYC recognises the importance of identity and belonging, and works to confirm the Palestinian identity. 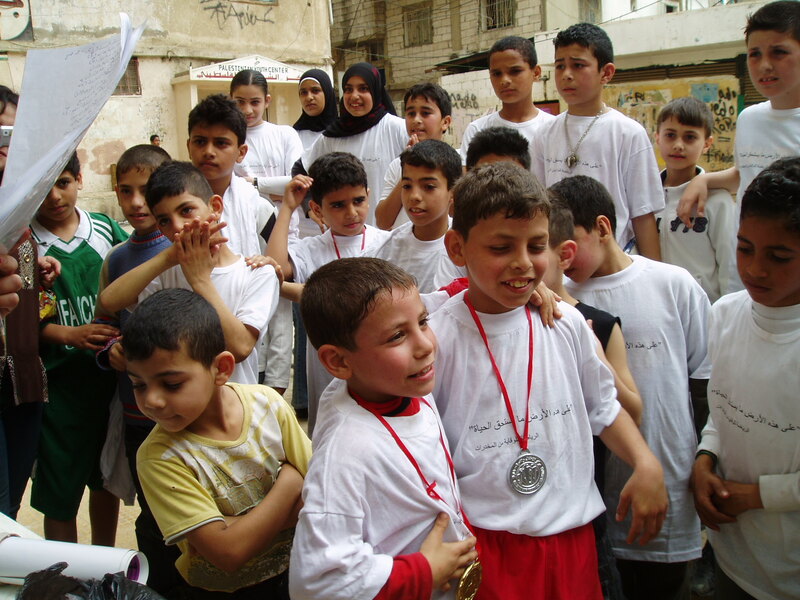 We have a responsibility to assist the Palestinian refugee children and youth of Shatila in understanding their current status, and the causes of their social and economic hardship. These young people must be allowed to learn their history, in order that they can understand their present, and dialectically arrive at feasible means of building their future. Integration and Tolerance: The CYC encourages, and emphasises the importance of integration within the camp, and within Lebanese society as a whole. The CYC also promotes exposure to other international identities and cultures, and continues to participate in cultural exchanges outside of the Middle East. The CYC’s children and youth represent a variety of Arab countries, including many children who are natives of the host country – Lebanon. The CYC regularly receives visitors and volunteers from all over the world.